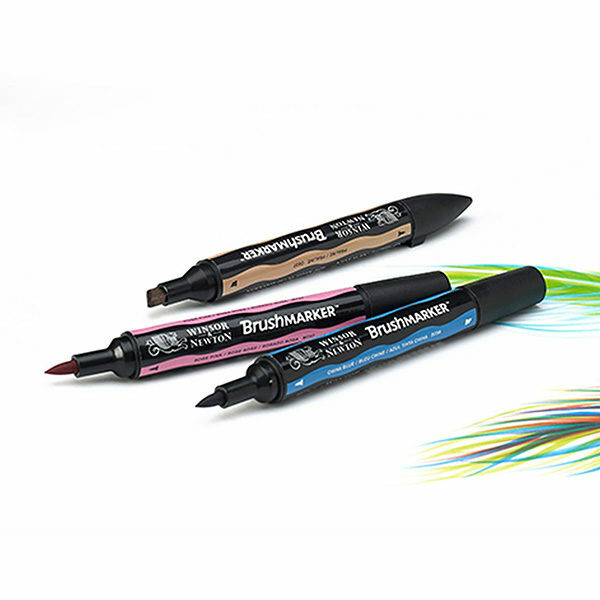 The Winsor & Newton BrushMarker provides the ultimate in precise and flexible line control, adding versatility to your drawing and illustration practice. 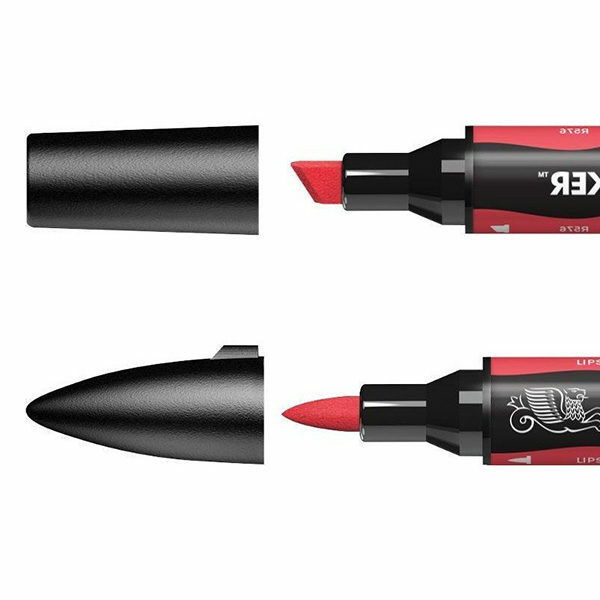 The colour rich range is highly blendable and offers print quality, streak-free coverage. 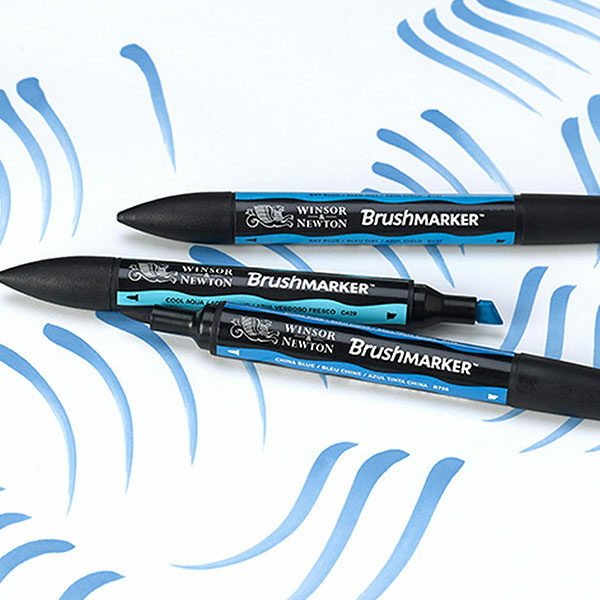 The Winsor & Newton BrushMarker uses the same ink as the ProMarker, namely a dye-alcohol blend, but its two nibs are different; the BrushMarker comes with a broad chisel nib and a brush nib. The brush nib was inspired by the mark-making qualities of brushes – Winsor & Newton designed a stiff yet flexible nib that mimics a brush but is made from a solid tip rather than lots of hairs. 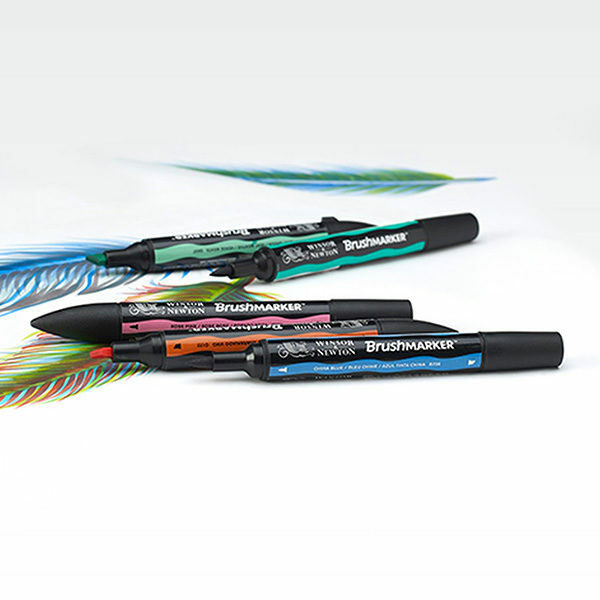 This allows the pen to make consistent, fluid strokes without the risk of splitting. 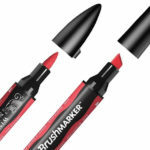 Marks can therefore be incredibly precise, smooth and streak free. The drying time is fast and the pen can be combined with the Winsor & Newton Promarker or a blender pen. It is not advisable to use these pens with other wet media because you run the risk of blocking the nib. Although the pens are permanent, the ink is not lightfast. 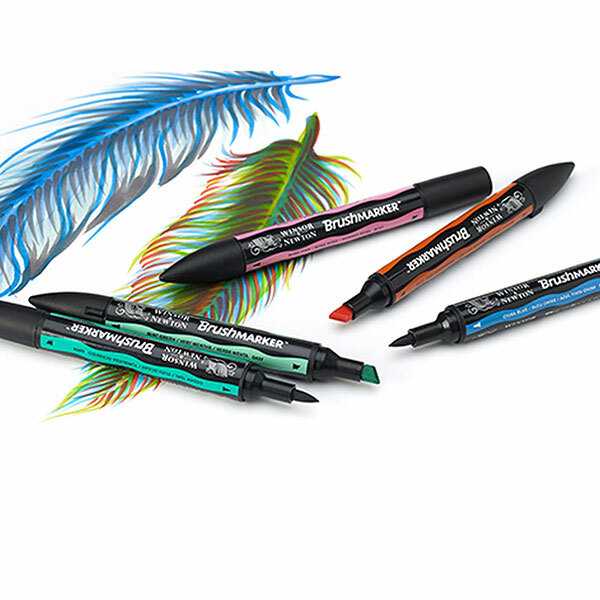 The Brushmarker pens are available in 48 colours ranging from subtle pastels to bold hues. Recommended surfaces: Bleedproof paper, Bristol boards, wood, acetate, glass, card, textile and plastic.